Mumbai, Aug. 1 (ANI): Stardom, which entails big responsibility, may a burden for some, but not for John Abraham as he is already a "people's hero." Mumbai, Aug. 1 (ANI): If things go well, we might get a 'Dishoom' sequel too. Mumbai, Aug. 1 (ANI): After Varun Dhawan, his co-star John Abraham expressed disagreement over banning their latest outing 'Dishoom' in Pakistan. Kanpur, Aug. 1 (ANI): Salman Khan's 'Sultan' has definitely brought 'kushti' under spotlight as several youngsters are now taking keen interest in the age old dwindled sport of India. Karachi, Aug. 1 (ANI): Bollywood playback singer Shilpa Rao is all set to make her Coke Studio debut in the ninth season of the Pakistan-edition. Karachi, Aug. 1 (ANI): Coke Studio, known for bringing musicians from every corner into the mainstream, recently took a different kind of initiative in its Pakistani edition. 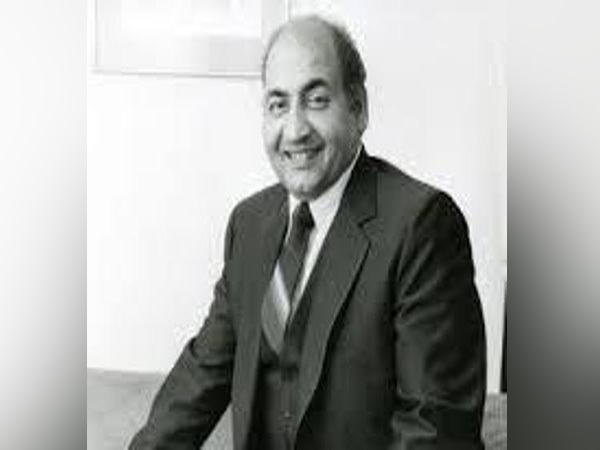 Amritsar, July 31 (ANI): Legendary playback singer Mohammed Rafi's native village Kotla Sultan in Amritsar, Punjab, today remembered him on his 36th death anniversary with people gathering in large number to pay tributes to him. New Delhi, July 31 (ANI): It is no secret that newly-wed Karan Singh Grover and Bipasha Basu, touted as a 'lovey-dovey couple', are leaving no chance of gushing over each other as recently KSG described his lovely wife to be his sunshine. Washington D.C. July 31 (ANI): Scott Disick, who is a proud father to three kids, recently opened up about the advice he gave to his wife Kourtney Kardashian's brother Rob Kardashian, who is all set to embrace fatherhood. New Delhi, July 31 (ANI): Guess who can make Akshay Kumar feel like heavenly.. it is his three year-old daughter Nitara. New Delhi, July 31 (ANI): Actor Jacqueline Fernandez, who is basking in the success of her recently released film 'Dishoom', has made her dazzling television debut with the reality show 'Jhalak Dikhhla Jaa' season 9. New Delhi, July 31 (ANI): Bollywood actor Sanjay Dutt has shared his fondest memories about his early life, his parents and struggles he faced in his life on the occasion of his 57th birthday. Washington D.C., July 31 (ANI): Looks like mommy Coco and Baby Chanel are having a rock n' roll weekend as they joined Ice-T at the Art of Rap festival in Brooklyn. Has Katrina refused to star opposite Chiranjeevi? Washington D.C., July 31 (ANI): HBO has finally addressed a much lingering issue about 'Game of Thrones' and that surely is not pleasant for the fans. Melbourne, July 30 (ANI): Branding Donald Trump as 'revolting' and a 'breast gazer', actress Ashley Judd proved that she is surely not his fan.